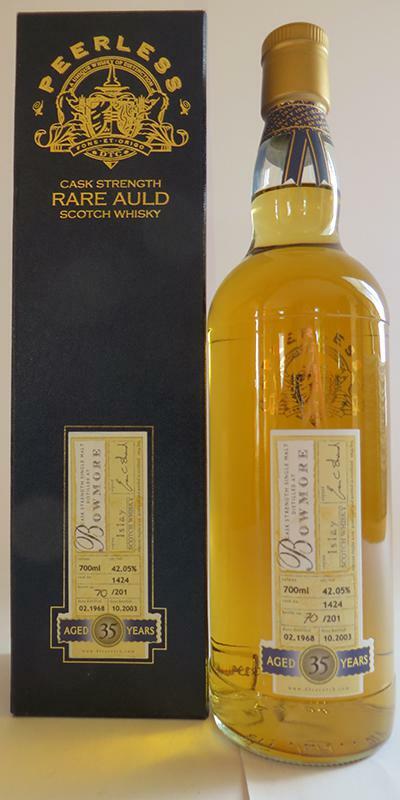 A very nice old Bowmore. It's all about fruit instead of peat. That is what I like. May be just a litte too thin to score in the mid 90's points. 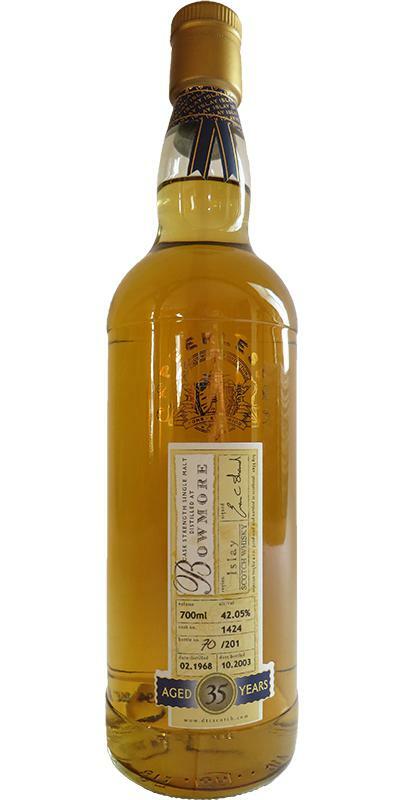 The typical Bowmore 1960's nose of cat-piss intermingled with tropical fruit of pineapple, kiwi and lychee. Mango and passion fruit sweets. Vanilla. Hints of crème caramel and a whiff of smoke. This profile is unique and so delicious. Now more on pear, blood oranges and tangerines. Orange peel. Quit a lot of pink grapefruit bitterness as well. Some pear, papaya and lemon. Sandalwood. Faint mineral notes. Peat at the background. Fragile but complex. Medium long. Gentle spiciness of white pepper and nutmeg. A little ginger. Grapefruit bitterness again and a bit of mint. Still well balanced. 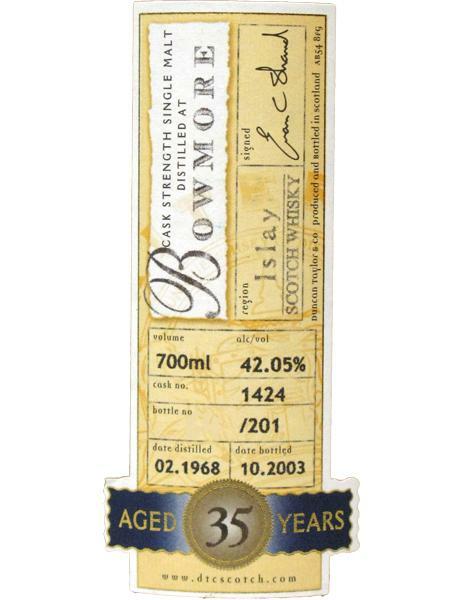 A non typical but extraordinary Bowmore.